A family dog described as a 'big softy' was taken from his home, and seized by the Belfast City Council because of banned breed legislation enacted by the Irish government. Leonard Collins and Joanne Meadows came home to find Hank missing and just a note explaining what had happened to the dog. Hank's family claims he's a Staffordshire bull terrier-Labrador mix, but a neighbor reported the dog to the city suspecting Hank was a pit bull - a dog banned in Ireland. Now the Belfast Telegraph is reporting that the dog is being held by the city, and is not giving the family the opportunity to see the dog while they test for its breed. 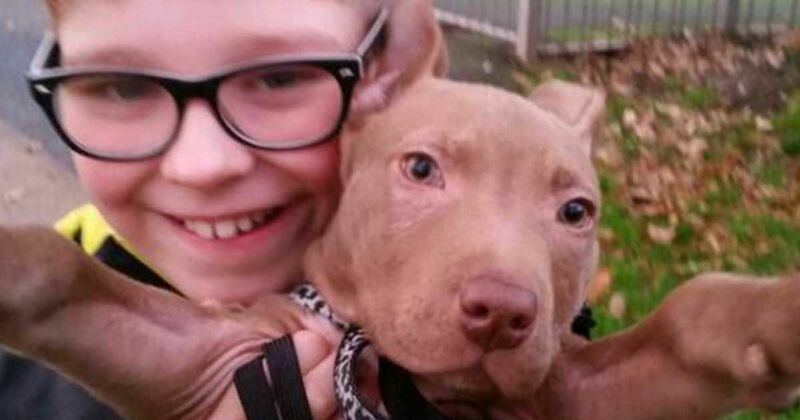 If Hank turns out to be a pit bull, the city will put the 2-year-old family dog down. "He's a big dog who thinks he's a puppy. He's never attacked anyone, he's never bitten anyone. He lies on the bed for 90% of the day," Hanks owner, Leonard Collins, told the Belfast Telegraph. "I can't fathom why anyone would report him," Leonard Collins told BBC News. "He lazes about for 90 percent of the day and wants to play the other 10 percent." But this banned breed legislation isn't just a reality in Ireland, the ASPCA reports that over 700 U.S. cities have established breed-specific laws (BSL). Even in cities that allow pit bulls, you hear stories about families not being able to find apartments because they won't accept their dog - just based on the breed. The Huffington Post reports that the fierce, damaging, and inaccurate stereotypes around pit bulls could be leading to the 800,0000 to 1 million pit bull euthanasia cases a year in the United States. You can support Hank and his family by visiting Save Hank Facebook page or join their fight on Change.org.